I love my new room. I love having an en suite, and I love that in that en suite, there is a fireplace with a mantelpiece. 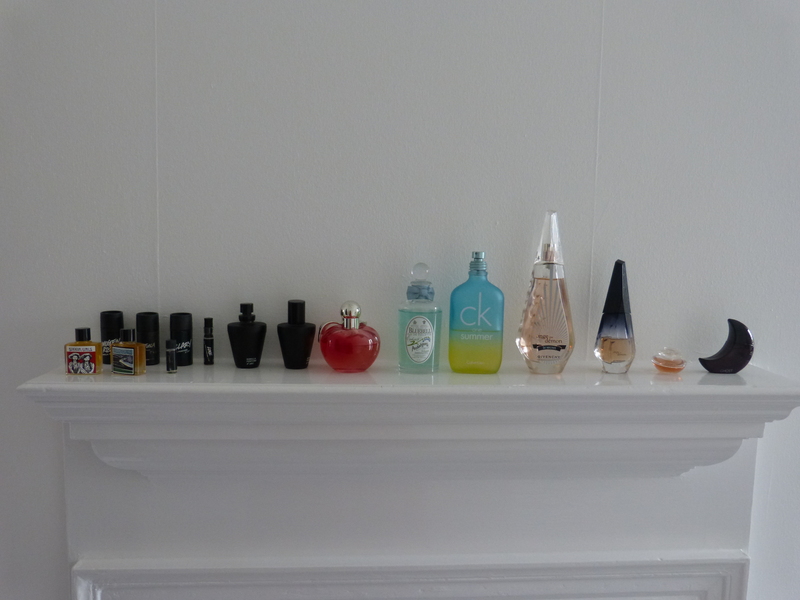 Said mantelpiece has become the new home for my perfume collection, and it makes me smile to see them all laid out every time I go into the bathroom!